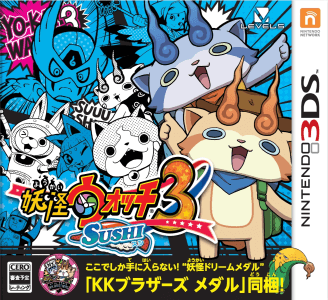 Yo-kai Watch 3 is a three-part role-playing game series from the third generation of the Yo-kai Watch series of video games, and was developed and published by Level-5. It was released as two seperate games subtitled Sushi and Tempura. An updated version subtitled Sukiyaki was released later. Yo-kai Watch 3 runs pretty smoothly on Citra, and it’s easily able to run at full speed. The only time it slows down or lags is when you use the Yo-Kai Watch to complete a quest or a part of the story to continue, or finding a Yo-Kai under a car or a tree. Here, the speed drops drastically.